The fall season is an enjoyable time of year for many people. Cooler temperatures, colorful foliage and aromas of seasonal recipes filling our homes are just some of the things we look forward to during the season. What no one looks forward to, though, are high energy bills that come may come if your home is not ready for the change in seasons. At Ambit Energy, we want to offer five tips to help lower the potential for high energy bills this fall. You will benefit this fall when you change filters, purchase energy efficient appliances and complete an energy audit of your household. You should also inspect other appliances’ parts such as your dryer’s air duct. The lint screen doesn’t always capture all the lint, so check the air duct. Removing any lint in the air duct will increase your dryer’s efficiency. Fall is not the same in every part of the country. In some states, swing months are the norm where temperatures range from mild to bitter cold. Between work and social life, you’re busy enough and don’t want to worry about how much energy you use when not at home. Ask your energy provider if it’s possible to install weather adjusters as part of your HVAC system. Or you should consider getting a smart thermostat, which can manage and automate the temperatures in your home. If you need help deciding on a smart thermostat, check out Ambit Energy’s review of five smart thermostats. Use the sun’s heat to your advantage. Allow sunlight to naturally heat your home by keeping south-facing curtains open during the day. At night, closing your curtains will help reduce the chill that comes from the colder temperatures. If your ceiling fans have a reverse switch, then change it so that the fan’s blades spin in a clockwise direction during the fall season. This will produce an updraft, which will push heated air from the ceiling because hot air rises. Leaks often occur around areas such as windows, insulation, doors and other places. There are also sometimes hidden leaks in the attic or basement, which are difficult to detect. Cracks and openings in these areas not only compromise comfort but also let the heat out of your home. You can purchase a few tubes of caulk at your local home improvement store and use them to seal leaks around areas such as window frames. You can also use weather stripping around doors where there are air leaks. 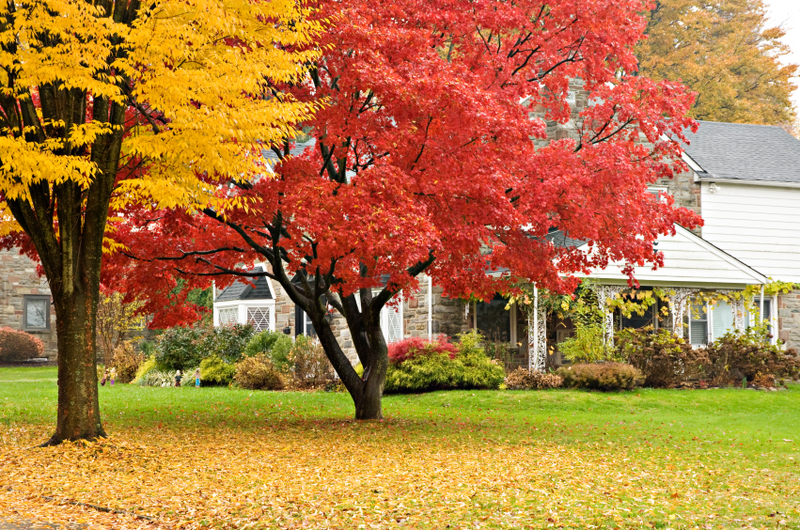 Don’t let discomfort and high energy bills ruin the fall season. Take the time to follow these tips and you’ll see the difference.